From time to time we love sharing great giveaways and competitions with our readers, especially when there’s a decent prize up for grabs. 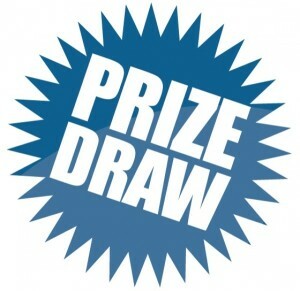 Today we’re sharing a £500 prize draw which has just been launched by UK insurance firm Drewberry Insurance. Are You as Prepared for Death as You Think? While death is a bit of a morbid subject to talk about, when it comes to financial planning it is also an extremely important one. After all, if you fail to plan properly for this – let’s face it – inevitable event, then the growing costs of arranging a ‘proper send-off’ are likely to be passed on to your loved ones to deal with instead. This will only add more stress to an extremely distressing and upsetting time for them. Should Parents Who Homeschool Be given Financial Help? Homeschooling is something my wife and I have considered on several occasions, but we have yet to make the leap. With so much concern recently about the pressure being placed on schools in the UK and the lack of school places available it got me to thinking, should parents who homeschool their kids be given some kind of financial help for doing so, like a tax rebate or bursary of some kind? I’m not sure about the practicalities of doing it, as this really is just a whimsical thought, but here are the reasons why I feel it might not be such a crazy idea. For years now, I’ve found it completely unacceptable that payday loan companies should be allowed to advertise on television at all, let alone in the daytime. A recent experience however has drastically reinforced my view on this point and if I’m being honest, also had me seething. So you’ve seen the ‘For Sale’ or ‘To Let’ sign go up on the house next door to you. A few weeks go by and you see a few people going in and out of the place, but there’s no sign of action just yet. Then, out of the blue, you hear the shuffling of furniture coming through the walls and you know that new neighbours are on the horizon.